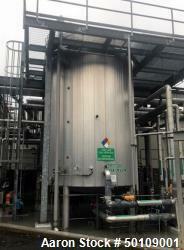 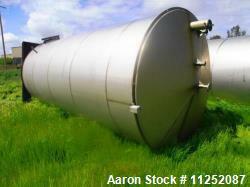 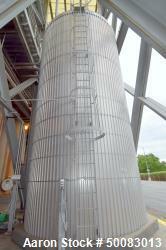 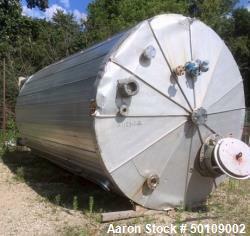 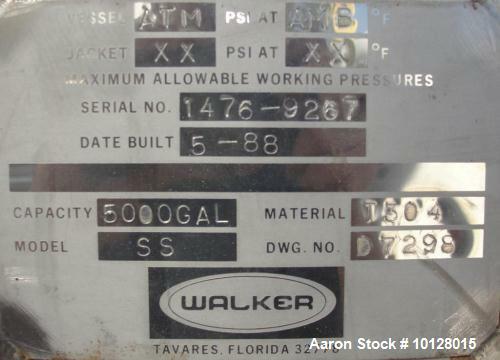 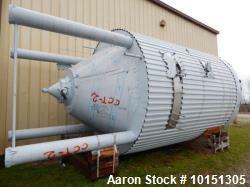 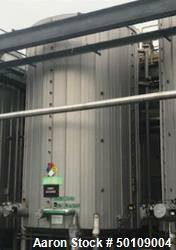 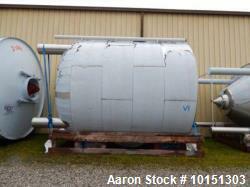 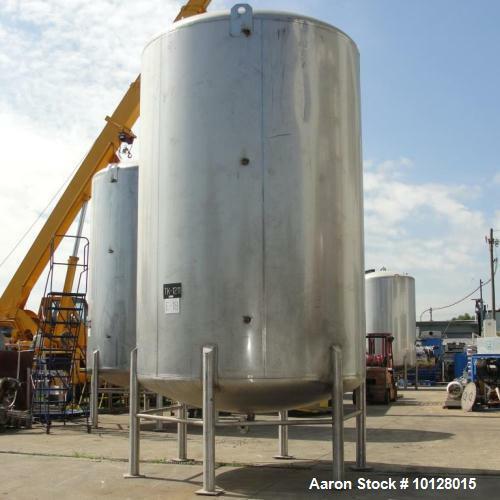 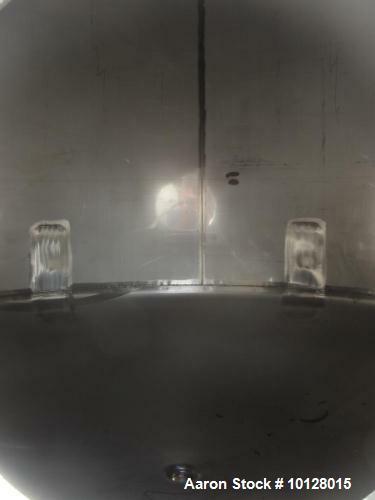 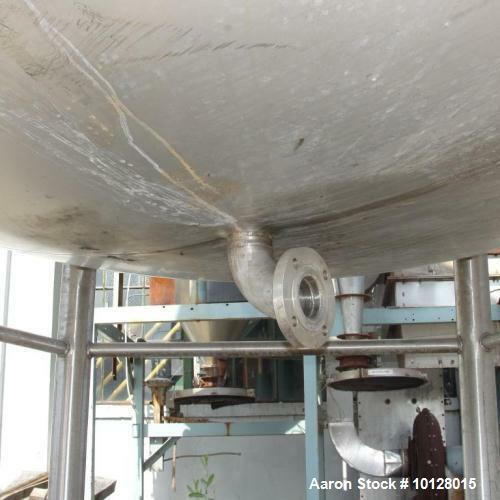 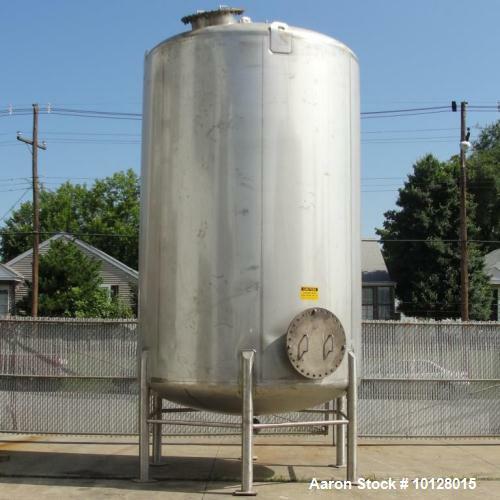 Used- Walker 5000 Gallon 304 Stainless Steel Vertical Tank. 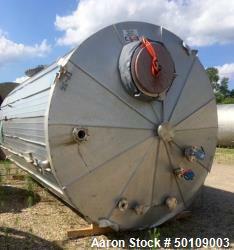 This tank has a dome top and a dish bottom. 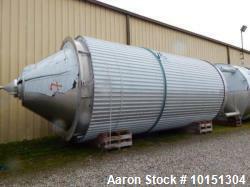 The tank diameter is 102", the overall height is 210", the dome top is 18", the dish bottom is 18", and the straight side height is 145". 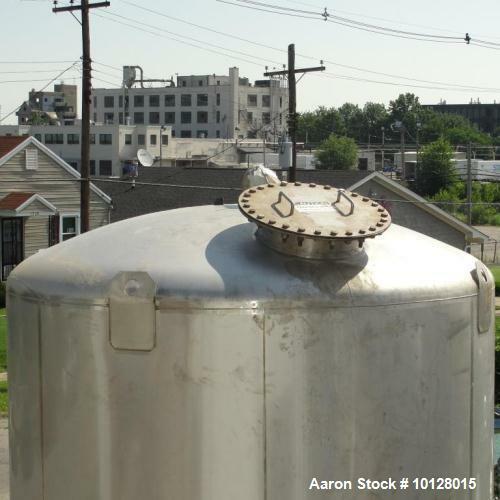 The top has a 20” manway, (2) 3" flanges, and (1) 1" flange. 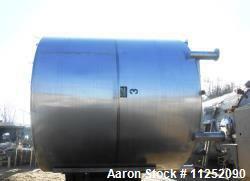 The side has 20" manway. 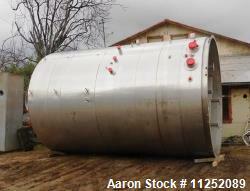 The bottom has a 3" diameter flanged discharge 21" from the ground. 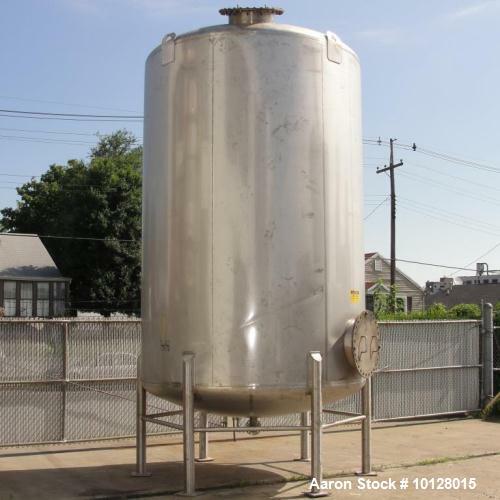 The overall dimensions are 112" diameter x 200" tall.